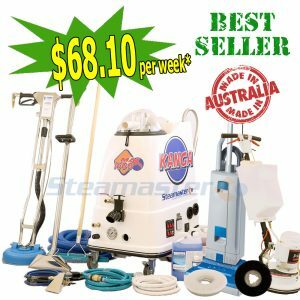 Carpet Cleaning Equipment & Machines! 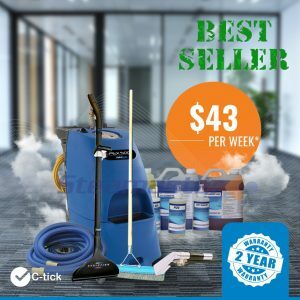 Buy The Best and Most Powerful Commercial & Professional Portable Carpet Cleaning Equipment or Machine for Your Business at The Best Price from one of Australia’s leading suppliers and manufacturers. A portable carpet steam cleaner is the perfect tool to make your carpet cleaning quick and simple. The hot water is used to soften the dirt and grime, which is then easily cleaned away, leaving the carpet cleaned to the highest standard. 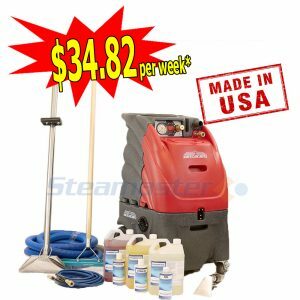 We only stock Commercial and Industrial Quality Portable Carpet Cleaning Equipment, Carpet Steam Cleaning Machines, Heated Carpet Extractors, Portable Carpet Cleaners, Carpet Cleaning Business Start Up Packages, Carpet Cleaning Business Start Up Kit, and Tile and Grout Cleaning Machines, that we believe will give You and Your Business real value. 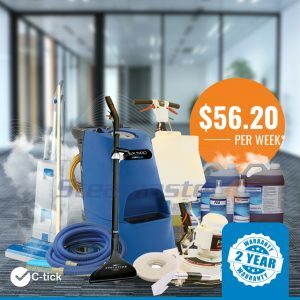 Buy our portable carpet cleaners to add value and convenience to your cleaning routine. Portable carpet cleaners are easy to wheel around from one cleaning job to another. Plus its lightweight construction and ergonomic design make it easy for you to clean for longer periods of time. 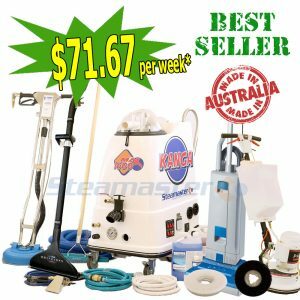 All Carpet Cleaning Equipment Packages for sale from our store come with Huge Discount and the most important tools that every carpet cleaner needs. When water is heated, it helps to dissolve even the toughest grime and deep-seated dirt in carpet fibres. 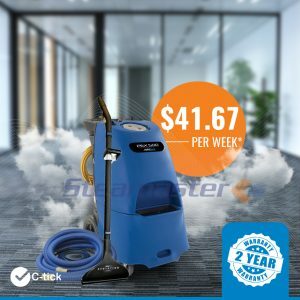 This cleaning equipment features a simple portable carpet machine, a pressure hose and a long wand to clean areas that are difficult to reach. It is perfect for cleaning carpets. 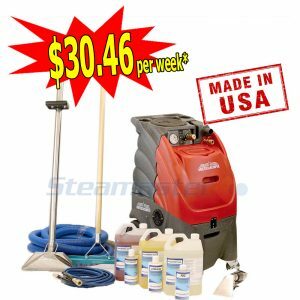 A carpet steam cleaning machine can handle many different cleaning tasks from small detailing jobs to bigger industrial cleaning projects. With the right nozzle and attachment, you can have the perfect tool to help you clean even the dirtiest carpets. 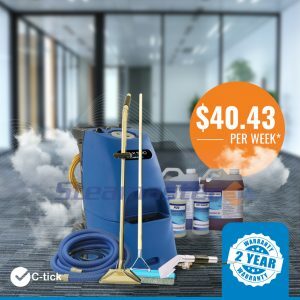 We provide you with a simple yet complete system for you to clean carpet and upholstery, treat stains and provide protection treatments for your client’s furnishings in an efficient and cost effective way. 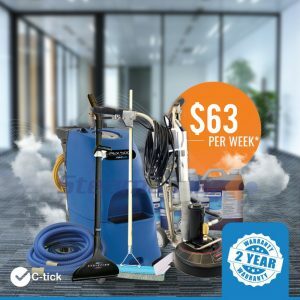 We also provide you with training videos to show you how to use your carpet cleaning equipment effectively, and teach you techniques that will give you great results for your clients. Our carpet extractors can handle your cleaning tasks, taking all the hard-work off your back. All you need to do is run it over the dirty carpet, and it will reveal a clean, allergen-free carpet. Nothing makes clients happier than seeing their carpets cleaned without spending a fortune. This is definitely a possibility if you use our carpet extractors to clean around your client’s premises. Our carpet extractors will allow you to get the job done in a cost-effective manner. 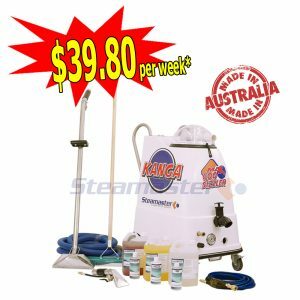 Steamaster has become a household name for supplying top-quality carpet shampoo machines Australia-wide. These carpet shampooers make your job much easier. Cleaning with our shampooer saves you detergent, water, and a great deal of time. Our customers are entitled to several benefits, including highly competitive prices, Australia-wide shipping, and reliable customer support. 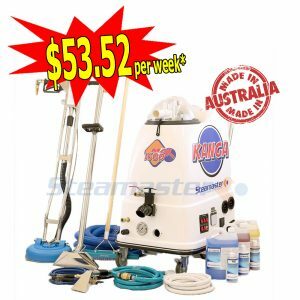 We even provide FREE shipping for your Carpet Cleaning Equipment Package or Machine to Sydney, Melbourne, Brisbane, Canberra, Adelaide, Perth, Hobart, Newcastle, Wollongong, Gold Coast, Sunshine Coast, and most areas of Australia. Carpet cleaning is a burgeoning industry, and the competition is cut-throat. In order for you to keep up, we provide commercial-grade carpet cleaning equipment that cleans faster and more efficiently. 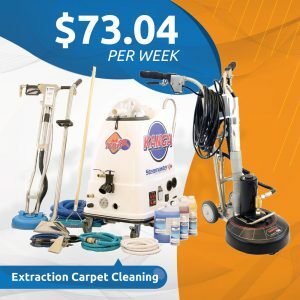 The carpet cleaning machines that we offer are easy to operate for a beginner and capable of handling heavy-duty commercial cleaning requirements. Watch any demo video on our website to get the hang of these machines. 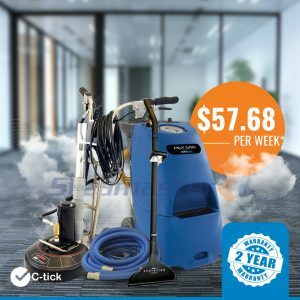 Carpet cleaning with professional machines can actually save a lot of time and give results that couldn’t have been possible to obtain otherwise. 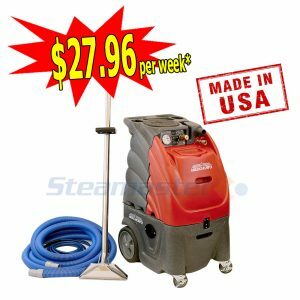 These carpet steam cleaners work like magic on grease, grime, stains and oil, leaving the carpet cleaned to the highest standard. 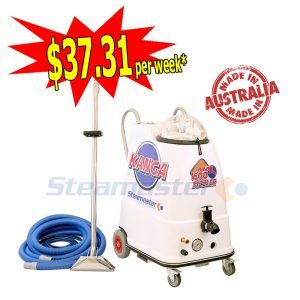 We take pride in offering the best carpet steam cleaners for sale in Australia. You can buy any equipment from us at a highly competitive price. We also provide you with training videos to help you understand and operate your equipment better. 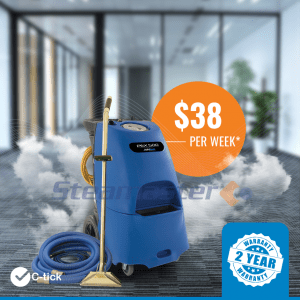 With premium cleaning machines for sale and Australia-wide shipping coverage, Steamaster caters for a wide range of clients across Perth, Adelaide, Darwin, Melbourne, Sydney, Brisbane and other Australian cities. No matter which part of the country you are in, there are going to be heavily soiled carpets to test your ability and patience. 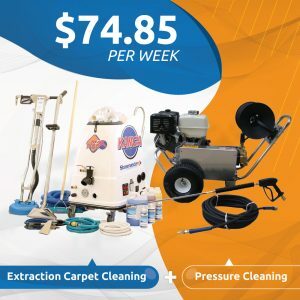 That being said, our carpet cleaning machines are designed to clean even the dirtiest of carpets and remove tough stains from rugs and upholstery.